NEW ACCOMMODATION – FREQUENTLY-ASKED QUESTIONS – GUARANTEED RENTS; COMPREHENSIVE PROPERTY MANAGEMENT. LED BY CAMBRIDGE CITY COUNCIL. The properties are situated on two newly-built sites: Water Lane, in the Chesterton area of Cambridge; and Aylesborough Close, in the Arbury area of Cambridge. We may take on further properties of a similar nature in future years, depending on (amongst other factors) the success of these properties. The properties will be owned by Cambridge City Housing Company, an arms-length property company wholly owned by Cambridge City Council. The properties have been commissioned with the aim of helping local residents to access good quality accommodation at submarket rents. Why have you specified minimum and maximum incomes for these properties? If you are shortlisted and successfully apply for one of these properties, we will charge a one-off set-up fee of £150 for a single applicant or £200 if you are part of a couple. You will not be charged for registering an interest or for making an unsuccessful application. There are no other fees charged – please see our fees page for more information. What kind of tenancy will I have? All properties will be let under Assured Shorthold tenancies for an initial period of one year, with the option of annual extensions up to a total of three years. Tenants may be able to remain in the properties beyond three years, though this is dependent upon the success of this pilot project. The properties will be let on a substantially unfurnished basis: carpeted, with newly-fitted kitchens and built-in cookers. 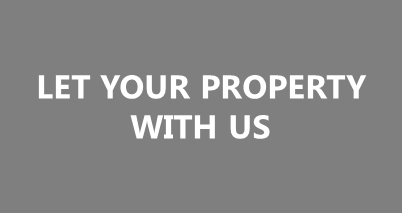 We will contact prospective tenants as soon as the properties are available to view.